Def Neon met whist jamming in a rock band at Vic Studios in Wrexham. They connected through a shared love of robots, cartoons, horror films and raving. These common passions brought the pair together, leading them to experiment with old Roland sequencers, Kaoss Pads, Samplers and Talk Boxes. 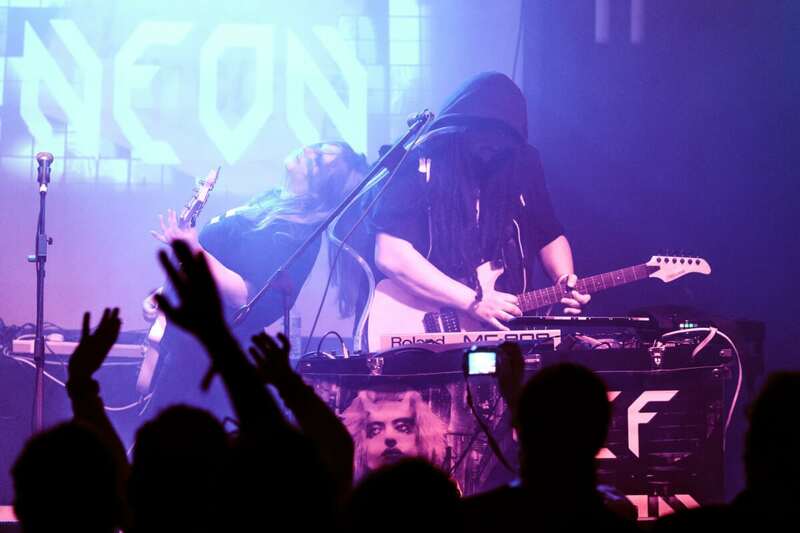 As such, Def Neon’s music is an eclectic and energetic mix of Rock, Dirty Electro and Bass Music; themselves describing their sound as Daft Punk crossed with Siouxsie Sioux, or Peaches meets Van Halen. The band signed to independent, Manchester-based Label AnalogueTrash in early 2016, with their debut album released in November of that year. Def Neon’s infectious sound and engaging live performances across the UK have proved popular with live event organizers, industry-professionals and fans alike, leading to a number of high-profile support slots for acts such as PWEI, 65daysofstatic, The Birthday Massacre, The Orb, Sonic Boom Six and Death In Vegas. In addition to this the band have toured extensively throughout the UK, culminating in headline slots at events such as Threshold Festival, Landed Festival and Blackthorn Music Festival, as well as countless other shows across the UK. The band has also garnered the attention BBC Introducing, awarding their track ‘Nightvision’ as their Big Thing Record of the Week in February 2018.